Today I will let three Rumi’s poems speak for me. For I know no other persons who can write from the heart better than him. Yet. A dog is dying on the road. A man is weeping beside him. A beggar comes by. Why the tears? This dog hunted game for me. He kept watch at night. Many times he drove away thieves. What’s wrong? Hunger has weakened him. What’s in the bag? Your food sack looks full. Those are leftovers from last night. Give a little to the dog. I give him these tears instead. They are easier to come by. Food of the road costs hard-earned money. The beggar curses the man and leaves. The beggar is right. The man’s values are reversed. Tears are worth more than money. Tears are blood distilled into water. into loving kindness and freedom. as they disappear inside that room. From Coleman Barks’s A year with Rumi, Dec 27, Dec 12, and Oct 23. This entry was posted in quote on May 31, 2008 by Eva. 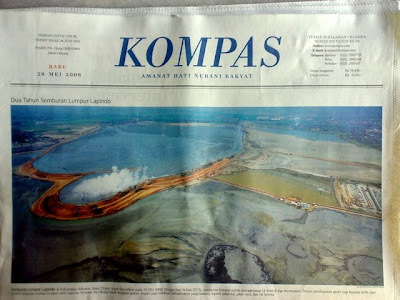 Today Kompas Dailies put a huge pic of Lapindo mud. It says it all. I think it is high time for us to stop complaining about our life and start feeling thankful for a change, and start sharing. This entry was posted in macro on May 28, 2008 by Eva. Something is just worth supporting. In the midst of hunger and malnutrition in our country. 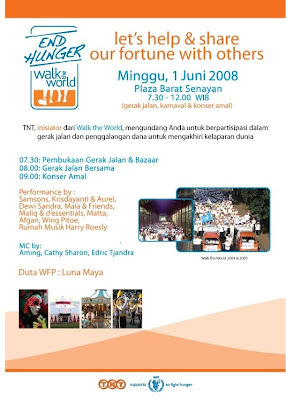 This entry was posted in macro, occasion on May 27, 2008 by Eva. Rumi’s love and honor for all religious traditions was not always popular in his day, and often provoked criticism from the more dogmatic. A story is told that one such public challenge came from a Muslim dignitary, Qonavi, who confronted Rumi before an audience. He he. Hear, hear, teach. -taken from The Discourses of Rumi. This entry was posted in quote on May 22, 2008 by Eva. Heard this song yesterday at a client’s event. It has managed to give me the chill every time I listen to it. Every single time. Perfect song for Indonesia’s national awakening day. Wake up. This entry was posted in occasion, quote on May 22, 2008 by Eva. I lay awake in bed, a familiar comfy bed of mine. Yet not comfy enough to put myself to sleep. I am wide awake. It is dark and chilly. The rain is pouring down hard outside. I can feel the breeze. Cold. The street starts to lose its capacity to contain the water. An overflow is unavoidable. It is a matter of time. I can sense the mouses, white mouses, just outside my bedroom getting restless. They know the water is coming. Into their home. Then all hell breaks loose. The rainwater pours into the mouses’ home. They run. Out of their home and into my room. They pass by me. Up my back and down again. There are so many of them. Too many. I can feel each mouse coming up my back and jumping off from my shoulders. I shudder a bit, naturally. I can feel the tingling sense but somehow I am not panicking. Even when one is stuck somewhere in my upper back and I have to take it off. I understand. Their house has been flooded. They are the ones who are panicking, not I am. They have the right to be. I understand. So I let them pass. I watch, I sense them pass. I walk into the kitchen. The sun is already shining brightly. It looks like the hard rain has chased all the clouds away, temporarily. It is a large middle age kitchen. White wall. Burgundy tiling. Wooden doors. Ah, the large wooden doors. Majestic. There are three of them. One going to the living area, one to the backyard, and another to the garage. My sister walks in and asks why there are so many doors. Actually, she is asking why there are doors at all. “Take them all off,” she says. We do as we have been told. She is right. The sun now shines into the house. It feels much breezier, much fresher. The whole family takes a stroll outside. Quite a large close-knitted group walking happily together. I have a sense of where we are going, so I am wondering why we take the long way round. The sister is there again. I ask her why and she simply says, “Because the children want to.” As if that explains everything. It probably does. Because I ask no more questions. No more. I know it is going to be ok.
A rare desire to share. Until next time, if there is any. PS: Floor, I have found the green book you gave me. We both know what that means. I am still struggling to find the balance though. Perhaps it takes more time to readjust. Re-adjust, because I am adjusting yet once again. 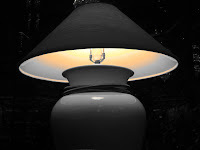 This entry was posted in friend, personal, trip on May 18, 2008 by Eva. It is the hunger topic again. This time it is about animals. Yet another tear drop from my eyes. I promised that friend that I would put this up on my blogs, hoping somehow it will make a difference. Apology for the long delay. It is a wonder how we often fall for animals, but not for human. We feel the pity when we see animals in pain, but choose to ignore humans who are in agony. Or maybe it is just too painful for us to see, that we decide to look away and move on with our beautiful happy life, probably out of fear of getting hurt inside. I think, as are children, animals are there to touch us deeper, with their innocence, honesty, and vulnerability. When trust, unconditional love, and affection start to grow from within us, we can extend ourselves and learn to love others as well. To be affectionate and lend our hands to animals, nature and humankind alike. Look who is learning to love now. And we thought we were the ones who are doing them a favor. 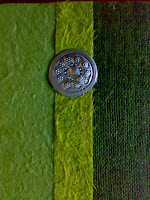 This entry was posted in friend, macro on May 12, 2008 by Eva.